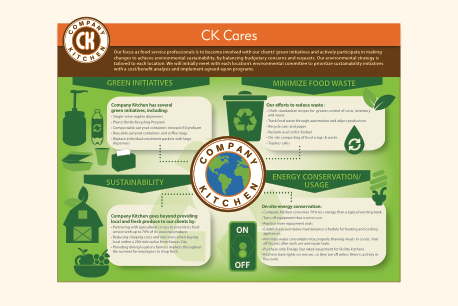 Company Kitchen Serves Much More Than Just Great Food at Work. 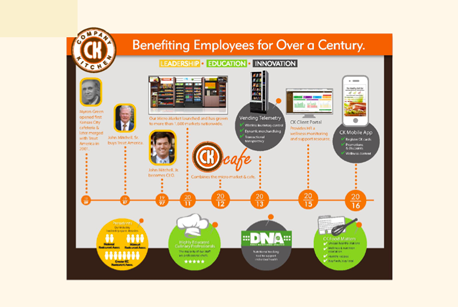 This info graphic provides insight into our history of innovation and leadership in food service and gives evidence of the cutting-edge resources and offerings Company Kitchen has launched over the years, especially in the most recent five-year period. Company Kitchen provides a comprehensive array of workplace food services including company cafes, micro markets, vending, coffee and catering. We also use the latest software and technology to bring unprecedented wellness support for HR and nutritional tracking for individual employees. 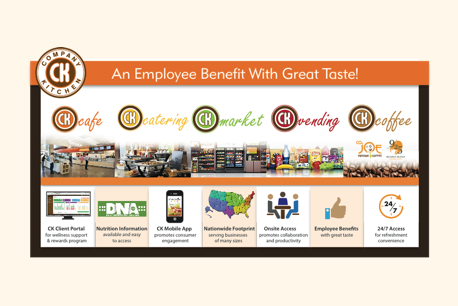 Please see this info graphic for our full range of offerings and benefits. Company Kitchen cares deeply about food. Not only to make sure we prepare it to the highest quality, but also to make sure we source locally to ensure freshness and we select ingredients based on the highest standards. We also like to educate people about what goes into sourcing and preparing high-quality, tasty, fresh food. 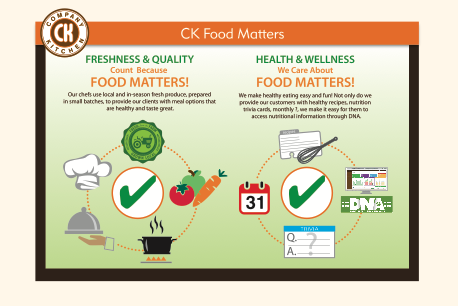 This info graphic tells the CK Food Matters story. We care about our environment, about our clients' "green" initiatives such as recycling and waste, as well as about our communities we serve. This info graphic shows our work in each of these areas and our emphasis on doing business the right way.